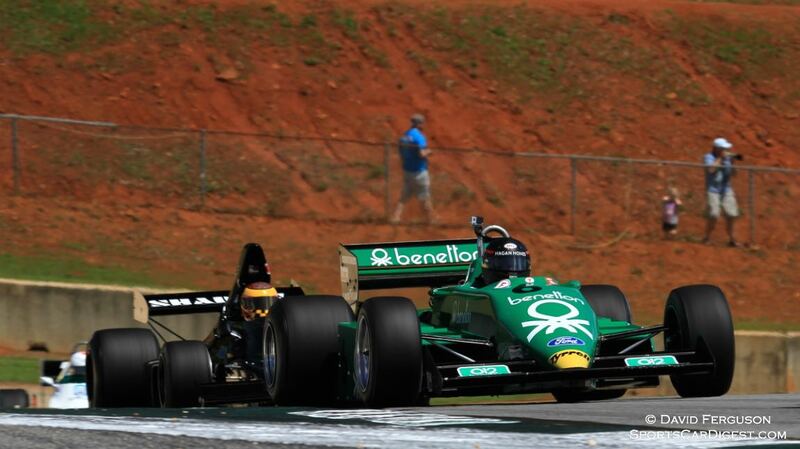 The 38th Speedfest at the Classic Motorsports Mitty was held on April 24-26, 2015 at Road Atlanta in Braselton, Georgia. 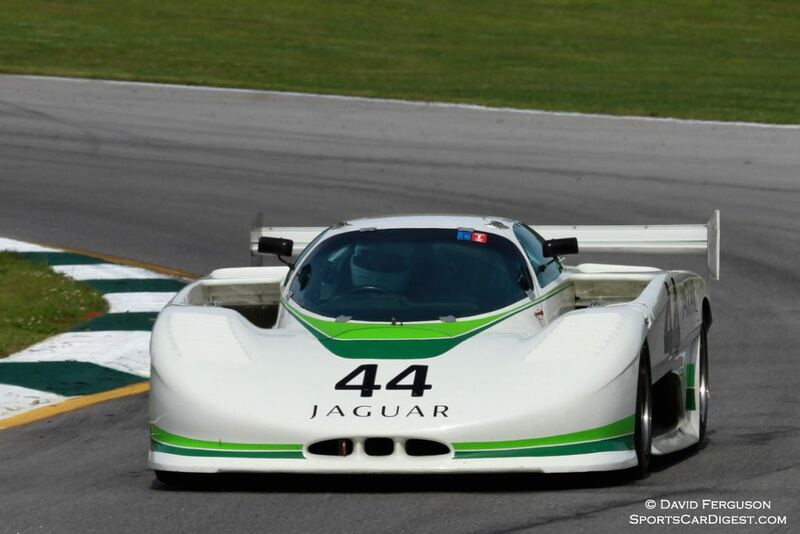 The event, commonly called the “Mitty”, was sanctioned by Historic Sportscar Racing (HSR) and presented by Hagerty. 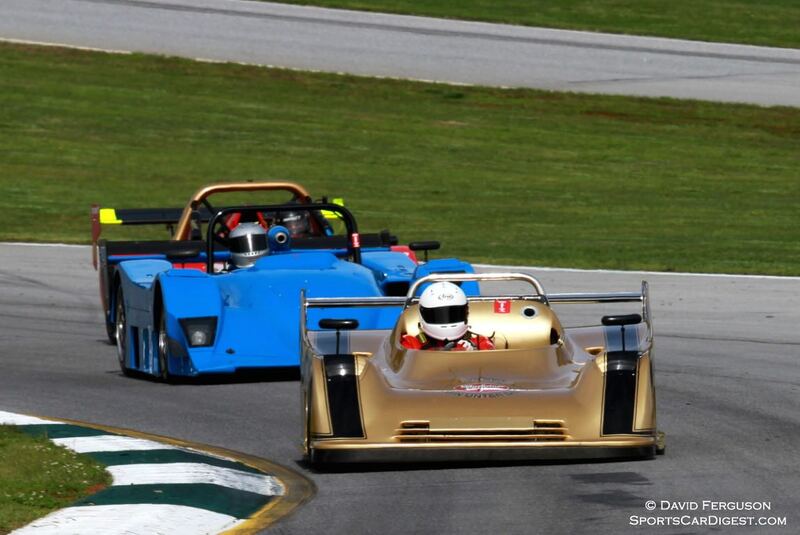 The HSR Mitty Speedfest 2015 drew over 350 entries to race on the challenging 12-turn, 2.54 mile road course. They were divided into 10 groups, with groups 2 and 3 having the maximum number of vehicles allowed. Local weather forecasters did a good job of presenting a worst case scenario for Saturday’s weather, and this probably kept some of the entries home, as only(!) about 300 cars showed up. 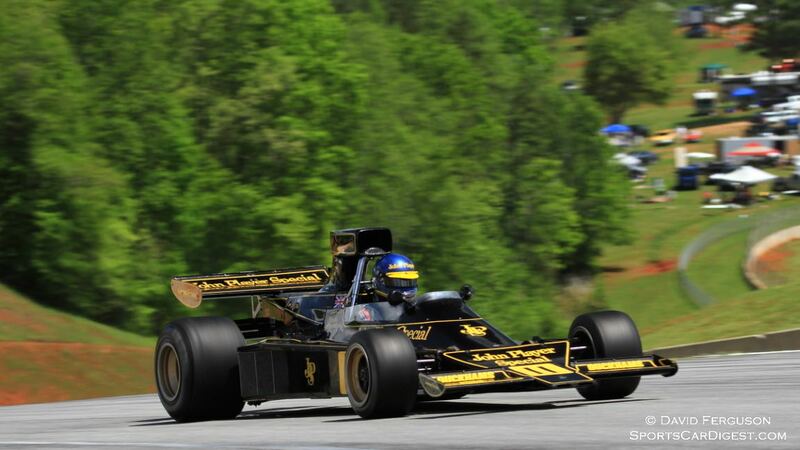 The most notable addition to the Mitty in 2015 was the participation of Masters Historic Racing who organize races for Formula 1 cars from the 1970s and early ’80s. 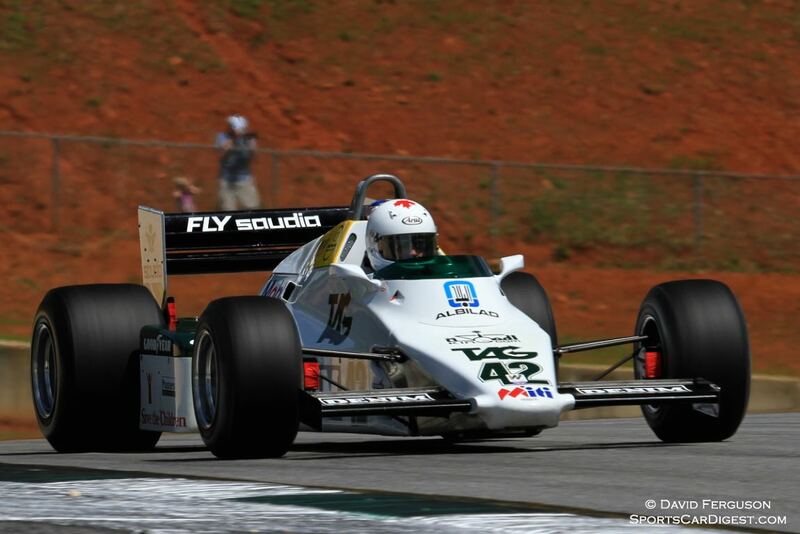 Among the participants were several March 761 and 751s; Arrows FA1; Shadow DN1; Lotus 76; Tyrrell 001 and 002; Williams FW08; Hill GH1 and a Parnelli VPJ. It was great to see these cars on the track, with their original liveries and their sweet-sounding Cosworth 3-liter engines. 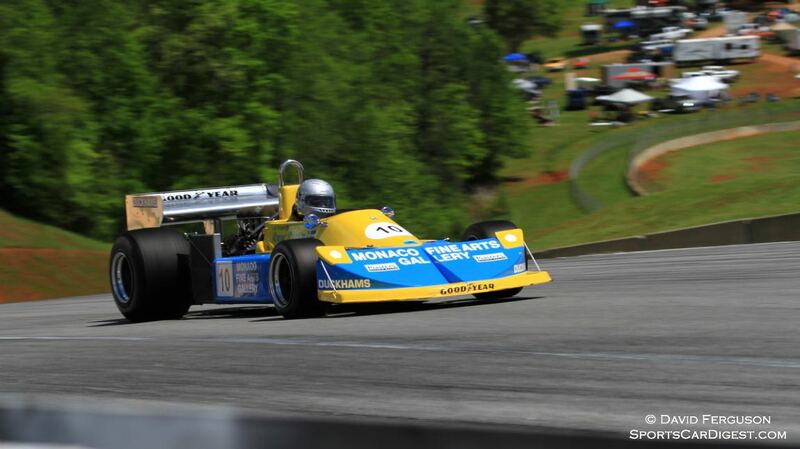 Gregory Thornton in his yellow and blue ex-Ronnie Peterson 1976 March 761 won both heats. Among other notable entries at the 2015 Mitty were Don Whittington in a Porsche 935/K3, Dan Furey in a 1956 Ford Thundrbird, Adam Chodosh in a 1959 Chevrolet Corvette and Jay Stephenson’s very pretty blue 1965 Cheetah. There were six E-Type Jaguars, plus Max Heiman’s nicely presented 1958 XK150. There were also several lovely older sports cars and sports racers, such as the Merlyn, Turner, Elva, Ginetta and Bobsy. Among the weekend’s better races for the lead, Doug Campbell in a 1964 Ginetta beat Ray Morgan in his 1964 Merlyn by 0.10 seconds in Group Two’s first heat. But perhaps the greatest feat was the 65 drivers in a wide array of automobiles that took the green flag for the Bob Woodman Tires International / American Challenge. Larry Ligas’ 1961 Jaguar E-Type and Curt Vogt’s 1970 Ford Mustang Boss 302 had a great duel for the lead that ended with Ligas winning by 1.3 seconds. The speed differential between the the fastest and slowest cars — based on their fastest lap times — was a whopping 37 seconds, yet the race was run without one full course caution. That’s worth bragging about. HSR tried a couple of night races for this year’s Mitty, and they were fun to watch, but 7-lap sprints seemed a bit short for racing under the stars. The Vintage / GT Sprint was won by Oliver Bryant in a 1965 Ford Mustang GT, while the H/P race was won by the Dennis Spencer-Rich Grupp 1993 Kudzu DG2. There were three enduro races, each sponsored by B.R.M. Chronographs. 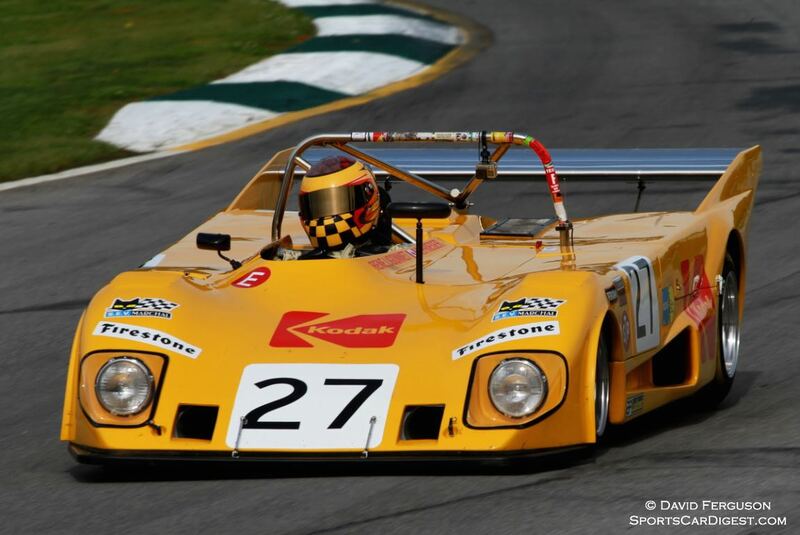 The Vintage class was won Alan and Jonathon Ziegelman in their 1973 Porsche 914/6, the GT Enduro was won by Dave Thorman in a BMW E46/M3 and the H/P event went to Travis Engen in his 2005 Audi R8 LMP. Of note, the fastest time of the HSR Mitty Speedfest 2015 weekend was set by Jacek Mucha in an 2007 Panoz DP01, lapping the track in 1:18.374 (116.67 miles per hour). Mike Levine won the “Spirit of Walter Mitty” award, given to the competitor that best exemplifies the spirit of the event. And then there was the weather. Yes, it rained on Friday night and Saturday morning, and the qualifying sessions for that time were washed out, but the severe weather that the news warned us about never materialized. And the rest of the weekend was postcard perfect weather. 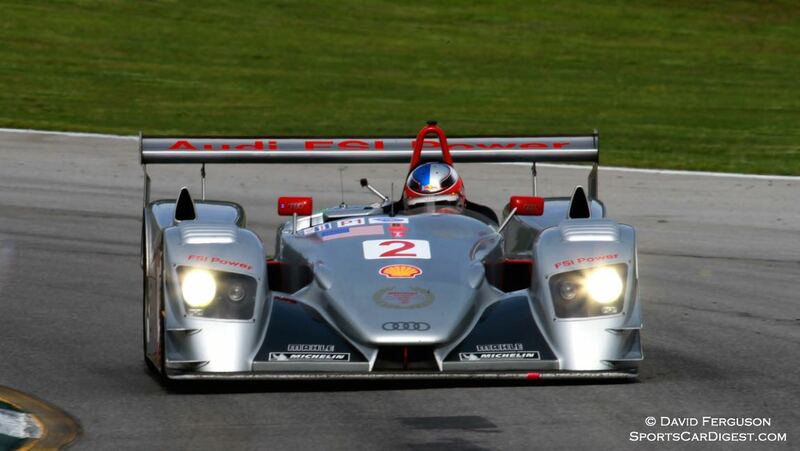 Similar to 2011, 2012, 2013 and 2014, photographer David Ferguson also documented the 2015 Mitty by HSR, offering the following pictures that highlight the entrants found at Road Atlanta. We split up David’s 208 pictures into two galleries. The first gallery starting below features our favorite images, all displayed in the full-width view of Sports Car Digest, while the second gallery can be found on the last page of the article and gives a comprehensive view of all the photographs. Wow! Dave, your photos made me feel like I was at the track! Great job with some terrific close-ups.